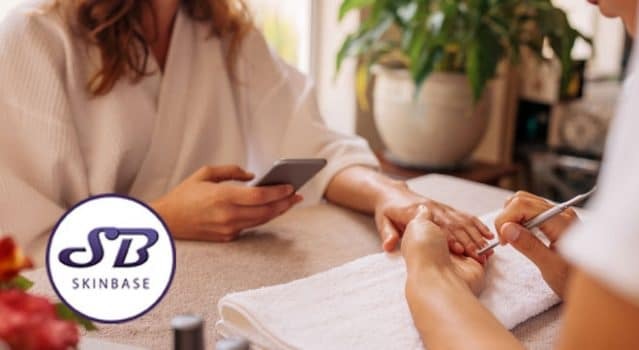 It’s all too easy to choose a nail salon or technician based purely on price and location, but we’ve all had that manicure that doesn’t last, or had that brief moment where we’ve wondered if that file should really be used again. So, since we’re constantly trying to blog about matters which actually help you out, we thought we’d put together a short guide on what to look for and what to ask when you’re choosing a nail salon. And if any nail technicians are reading, we’d love to hear your thoughts and top tips for clients! Sterilising key tools for pedicures and manicures is so important if you want to risk infection. Any reputable salon will happily tell you what and how they sterilise their equipment – a lot of the salons we know through SkinBase take huge amounts of pride in just how clean and safe their working areas are! Nail files, buffers and pumice bars. These items cannot be sanitised and should be used only once, never reused! Look out for items that look used, and see whether the nail technician throws them away after use. If not, there’s a chance of infection being spread between clients. Don’t be afraid to ask questions, great nail care is about much more than just glitter! You’re paying for a service and any great salon will happily answer any questions you have before the treatment. 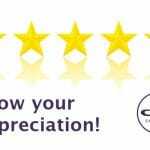 If you can, try to take a look online and see if the salon in question has any reviews – they’re always good as a starting point. What is the difference between a regular mani, gels and acrylics? Gel manicures feature longer-lasting colour formulas that are applied to your natural nails with the aid of a UV/LED lamp. Now hard gels and acrylics are artificial nails, which could be extended from your natural nail to add length. Both services should be maintained by a professional nail tech every two weeks. Hard gels are much lighter and fragile in comparison to acrylics (thanks Makeup.com for the great little explanation!). Just because your varnish chips quickly – doesn’t necessarily mean your technician has done a bad job, instead – they may want to try a different, more suitable brand to suit your nails and nail beds. Most salons encourage you to get in touch and will sort out any problems. Do bear in mind that everyone’s nails are different and how long your mani lasts depends on nail condition and what you’re doing on a daily basis! Hope this helps, be confident and ask your nail salon about anything you’re unsure of – any worth going to won’t mind a bit!